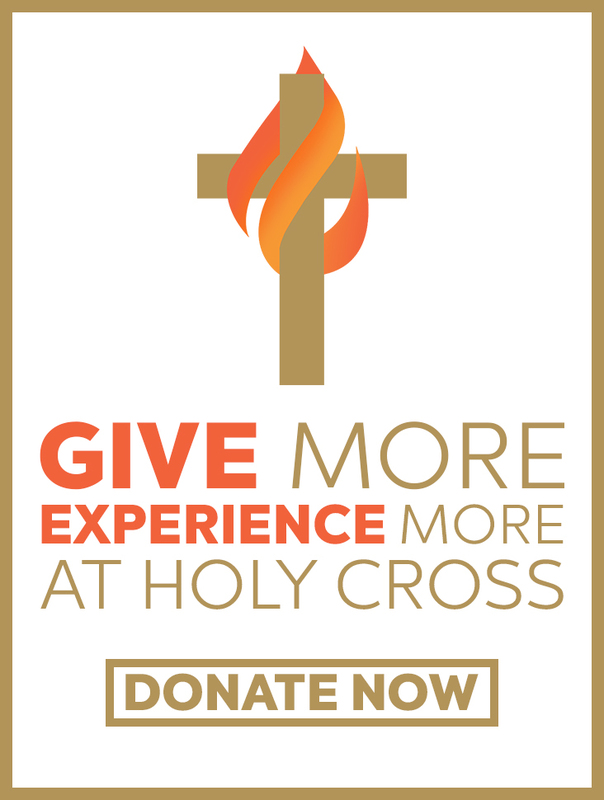 Holy Cross Church: Give More. Experience More. First - thank you. Your generosity contributes to the long standing success of our community of faith. Because of your commitment to Holy Cross, we are an ever increasing effective witness to Jesus Christ. We are grateful for you, and for the example you set for each of us on what it means to be a faithful steward. Giving to others is such a joy. Being a partner in movements that change the lives of individuals and enrich our community is so satisfying. Our financial gifts do remarkable things when they are transformed into ministry and mission. Our God is a generous God – A God who deeply and passionately loves us. Our God is a God of transformation – who changes us, and through us, changes the world. Give More, Experience More is an invitation to share the love and power of God with others. Over the last couple weeks, you have been hearing about how we as a congregation are engaged in this effort. Each of us will be challenged to take even bolder steps to invest our whole life into becoming the church God is urging and encouraging us to become. We want to invite you to join us in our decision to enhance the welcoming experience at Holy Cross in 2018. It is a time of great possibility for Holy Cross and the future of our mission. Again, we thank you for your support. Giving in the manner that you do does not simply happen – it is the result of faith, trust, and intentional choices. We join you in the hope of creating a culture of generosity that touches every person in our church. Giving is where we find the true meaning and purpose for our lives. 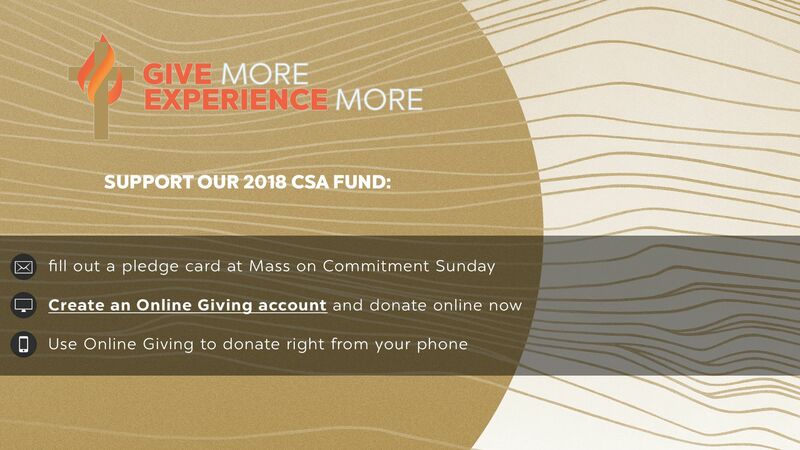 Please plan to be with us at Mass for Commitment Weekend on February 10 & 11. Not only will we share details about our plans for 2018, but we will join together in a church-wide effort to celebrate the abundance of our God. Together, we are God's hands and feet - bringing mercy & peace to life. Together, we are many - and we are one.